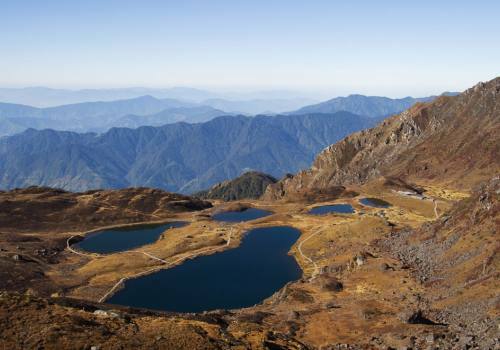 Because the Langtang region is so accessible from Kathmandu, it is a highly favored regions for travelers with less time to spare. Not only that, but it has all the high Himalayan sceneries and cultural fascinations found in other regions of the Himalayas, but is much less crowded. 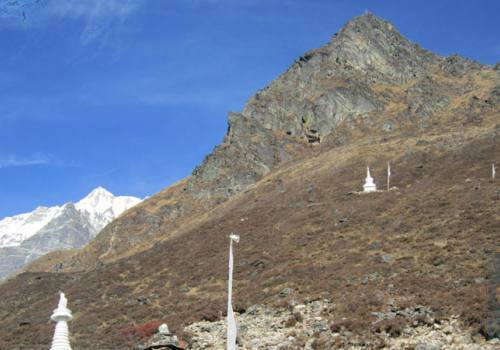 Langtang has the added advantage of offering wilderness style treks with the true spirit of adventure, because many of its trails are still not greatly frequented. Many trekkers take the road from Kathmandu to Trisuli, Dhunche, or Syrabrubesi to begin hiking in this beautiful, predominantly alpine region. Langtang admittedly cannot boast any of the giant Himalayan peaks, but nonetheless its scenery is just as spectacular and photogenic as that on the more popular trails. 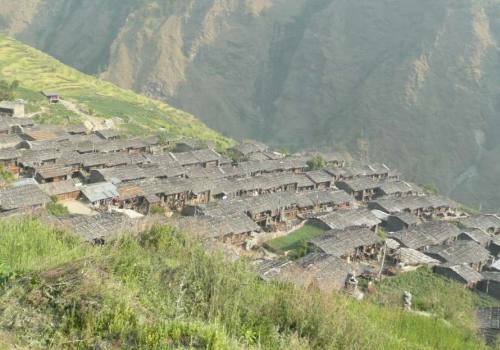 The Langtang people are from the large and diverse Tamang clan and are Buddhist by faith. 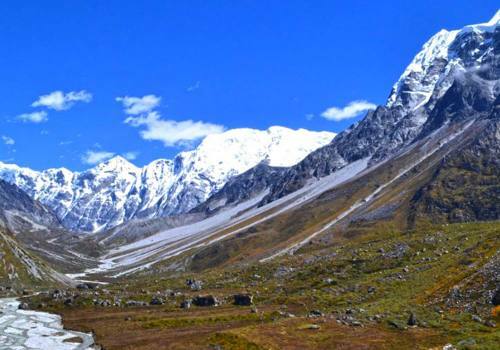 A visit to the Langtang Valley is a great opportunity to explore the colorful Tamang culture, as well as to climb some smaller peaks and explore glaciers at a more comfortable altitude than most of the other trekking regions. Our Langtang itineraries incorporate a rest day at Kyanjin Gompa, to allow time to explore the extensive glacier system in the high valley. 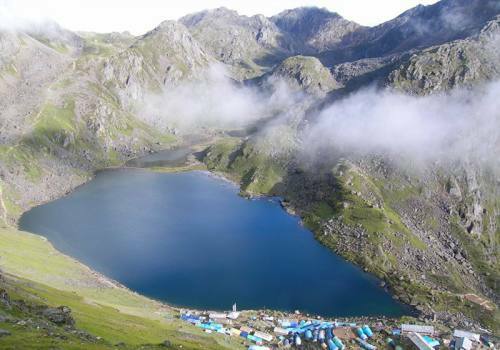 There is much scope to various treks in this region and one popular choice is to extend the hike through to the sacred lake of Gosainkunda (4300m), which is said to have been created by Shiva, along with the two smaller adjoining lakes, when he jabbed his trisul (trident) into the ground to form the headwaters of the Trisuli river. Treks in Langtang and Helambu can be very effectively combined, by crossing the Laurebina Pass near Gosainkunda. Helambu is also easily accessible from Kathmandu, being located in the Melamchi Khola Valley northeast of the capital and south of Langtang. There are some beautiful forests here, as well as alluring settlements, principally populated by Sherpa people. However, Sherpas here differ from the Everest region branch of the caste in language, dress and family lineage. 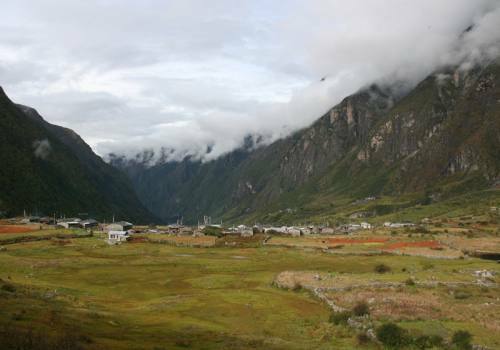 Overall, the Langtang region is a true gem that is often overlooked. 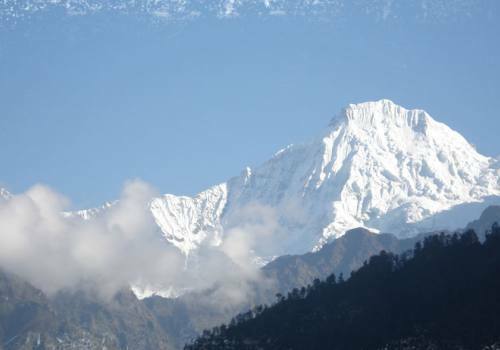 If you would like the high alpine sceneries found in the Annapurna and Everest regions, and more intimate cultural experiences of the lesser travelled areas, the Langtang region is perfect for you!